Why is there need for complementary education in the rural areas in Peru? Almost 70 000 people disappeared or died during the civil war(1980-2000) in Peru. Many were victims of cruelty that were committed by terroristic organizations The Lightning Pad”, government troops and other resistance groups. Most victims were civilians who lived in the rural areas and especially the departments where startup4kids works. 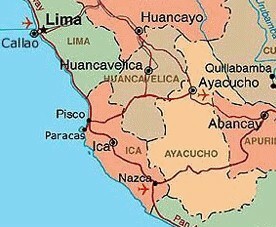 These places, Ayacucha, Huancaevlica and Apurimac, are situated in the Andes and they are one of the poorest areas in Peru. Due to the political circumstances and the extreme poverty, these areas were economically backward and the illiteracy rates were high. For this reason, startup4kids offers the social and financial education programme Aflatoun to give these children extra opportunities and to stimulate their environment to also go to school. 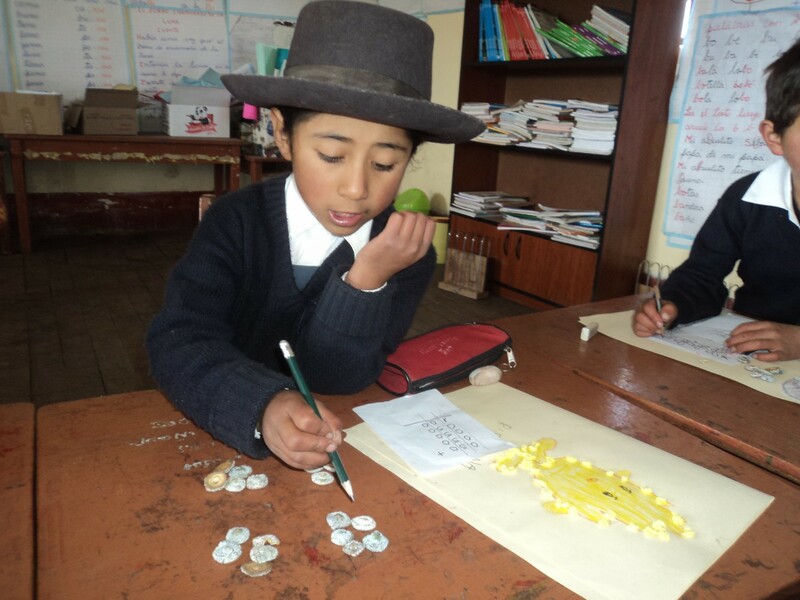 Our goal is to provide children in the poorest regions of Peru with social and financial education, enabling them to develop additional skills and build self-esteem. This makes them less vulnerable, they are better prepared for the future and they get better opportunities. From 2010 to 2016, teachers employed by our partner FINCA Peru have traveled from school to school to give Aflatoun lessons to children living high up in the Andes. In February 2017 our Aflatoun team started training the local teachers. The aim is to train 200 local teachers in the years 2017, 2018 and 2019 to give the Aflatoun lessons, to reach 40 schools and 3200 children per year. We are active in the departements Ayacucho, Huancavelica and Apurímac. Aflatoun International has promoted the Aflatoun education program at the Ministry of Education in Peru and has succeeded in persuading the Ministry to include the Aflatoun program in the regular education program! However, it will take time to start this program because it involves a completely new way of teaching about new themes. The program will first start in the capital Lima. Through our sustainable project we can train teachers in the rural areas to give Aflatoun lessons. This means that our Aflatoun project in Peru will ultimately be superfluous and we can shift our attention to, for example, street children who do not go to school. The Aflatoun team of our project in Peru are employed by and under the supervision of FINCA Perú, working in collaboration with StartUp4kids. FINCA Perú is an organization that focusses on social integration and development of women and underdeveloped communities. FINCA Perú gives these women and their families access to tools that will enable them to improve their skills.